Imagine staying in a boutique hotel set in a hostel premise. One of the newest hostel in town is offering just that, and much more. 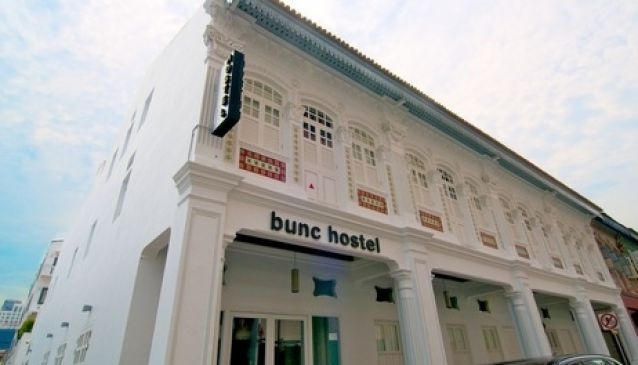 Bunc @ Radius is a premium hostel located in colorful Little India. With value for money in mind, the hostel promises comfort, cleanliness, privacy and safety to its guests. Look forward to a good night sleep in the custom made beds, fitted with hotel grade mattresses and pillows, in a fully air-conditioned environment. The morning is then welcomed with breakfast on the house. Bunc @ Radius is also exceptionally appealing to the ladies, as there is a dedicated 'ladies only flour' in the three-storey shophouse hostel.